Topping an English muffin with butter and jam is the traditional way to enjoy this breakfast bread. But did you know you can make breakfast pizzas and other kinds of breakfast sandwiches just as easily? Forget boring toast when you can top an English muffin in many delicious and easy ways! Recipes from Thomas'® Original English Muffin website. 1. Prepare the cilantro salad: finely chop cilantro and baby greens, add peppers and toss with olive oil and lime juice. Salt and pepper to taste. 2. For each sandwich, place cooked bacon slices on bottom half of English muffin and top with fried egg and cilantro salad. 3. Finish with a sprinkle of cotija cheese and the top half of the English muffin. Preheat oven to 350°. In a small bowl, combine the butter and garlic salt. Brush each half of the English muffin with the garlic butter mixture. Scramble eggs until soft set and then add the ham and stir in. Season with salt and pepper. Scoop the scrambled eggs onto each muffin and top with cheese. Bake for 10-15 minutes or until cheese has melted and muffins are toasted. Simmer water in a double boiler. 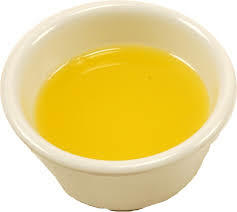 Place the egg yolks, lemon juice, white pepper, Worcestershire sauce and a little water in the top of the double boiler. Whisk the mixture as it heats. Once the egg mixture is thickened and heated, add the butter to the egg mixture slowly while whisking. Add dill and pinch of salt to taste. If the Hollandaise gets too thick, whisk in a little warm water to thin the mixture. Remove from the heat. Over medium heat, cook the ham in a skillet and let rest on paper towel until assembling. Place about four inches of water in a pan and bring to gentle simmer. Add the vinegar. Carefully break eggs into the simmering water and cook for 2½ to 3 minutes. Remove eggs with a slotted spoon and rest on a warm plate. Split and toast Thomas’® Original English Muffins until golden. Lightly spread split side with butter and place on plate. Layer a slice of ham and then place the warm, poached egg on the top of the stack. Finish with a generous drizzle of Hollandaise just before serving. Directions: In a large bowl, use a fork to gently combine turkey meat, cheese, mustard, breadcrumbs, chives, garlic, salt and pepper. Form meat mixture into four equal patties. Lightly oil grates of a gas grill. Grill patties on high heat for about 10 minutes on first side and 5 minutes on second side, or until internal temperature reaches 165 degrees F. While patties are cooking, lightly toast the English Muffins on hot grill. Serve turkey burgers on Sourdough English Muffins with lettuce, tomato and avocado. 1. Split and toast the English muffin. 2. Mix together avocado, lemon and a splash of olive oil; season with salt. 3. Top each muffin half with the avocado mixture. Finish with a pinch of salt. 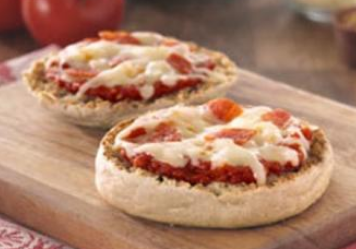 English Muffin Personal Pizzas - Pick your toppings, split your muffin, build a cheesy personal pizza. Directions: Split and toast the English Muffin. Spread 2 tablespoons of pizza sauce on each muffin half and sprinkle with cheese; add desired toppings. 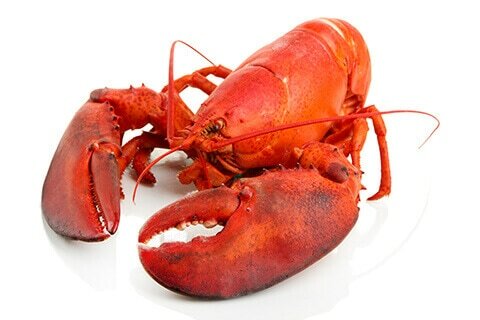 Place on large baking sheet and bake in the oven at 400° F for 8 to 10 minutes or until heated through. 9. To plate this dish, thinly slice the rested sirloin. Toast the English Muffin to a beautiful golden brown.